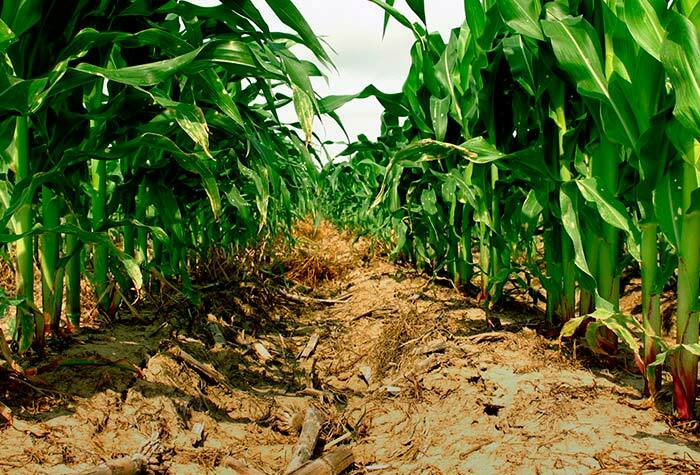 Corn flourishes in a Mississippi no-till field. For growers, controlling weeds is sometimes like riding a merry-go-round. They hop on one horse or chemistry for a while; and then when problems start occurring, they select another one for the next ride. Start with clean fields. Help control emerged weeds before planting by applying a burndown herbicide plus a pre-emergence residual herbicide. Employ crop rotation. This practice will extend the range of available herbicides and agronomic practices. Rotate herbicide-tolerant traits. Alternate herbicide-tolerant traits or use herbicide-tolerant trait stacks for more efficient rotation. This approach enables growers to rotate their herbicide applications and reduce selection pressure on resistant biotypes. Adopt these best practices to preserve valuable herbicide technologies. Use multiple effective herbicide modes of action. Use tank-mix partners and multiple modes of action in each application during the growing season to reduce the selection pressure caused by using a single mode. Keep your fields clean by using residual herbicides whenever possible. Use a preplant herbicide followed by a pre-emergence or early post-emergence, soil-applied residual herbicide in the spring, so young corn plants can intake sun, water and nutrients without competition from weeds. Always apply herbicides at the full, labeled rate and at the correct growth stage. This ensures the most effective control of weeds in fields. Know your weeds and your fields. Learn more about the weeds you’re trying to control, and closely monitor problem areas in your fields that experience difficult-to-control weed pressures or dense weed populations. Prevent weed escapes from producing seed. Consider spot herbicide applications, hand removal of weeds or other techniques to stop weed seed production. Don’t forget to control weeds along ditches, fencerows and tree lines, if possible. Do not tolerate any weeds in the soil bank. Not allowing surviving weeds to set seed will help decrease annual weed populations and prevent major weed shifts. If you don’t treat weeds, such as Palmer amaranth and waterhemp, at 2 to 3 inches, it’s tough to control them post-emergence. Clean equipment. Always clean your tillage, seeding and harvest equipment when leaving fields that are infested with herbicide-resistant weeds.